A successful scheme aimed at helping newly qualified drivers become safer on the roads is now looking for driving instructors to help deliver its training. 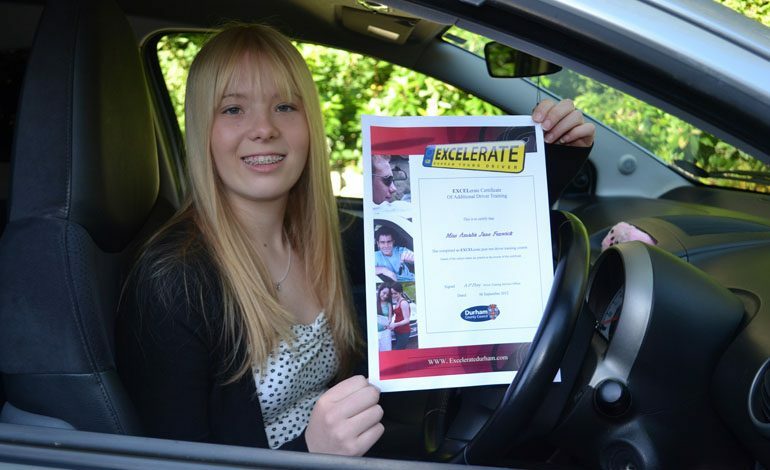 EXCELerate Plus, formerly known as the EXCELerate Durham Young Driver scheme, provides free training to young drivers around the three scenarios that produce the most casualties in County Durham and Darlington. Co-ordinated by Durham County Council’s road safety team, the scheme is now looking for DVSA driving instructors to deliver the two hour, post-test, practical driving sessions. Paul Watson, road safety manager at the council, said: “As part of the re-launch of the scheme we are looking for instructors to help us target the most common causes of accidents among young drivers and we know there are many great teachers out there who can make a real difference. Anyone who wants to find out more should email [email protected], using EXCELerate Plus in the subject line. The project is funded by the Police, Crime and Victims Commissioner Ron Hogg, with instructors being paid via the scheme and pupils receiving training for free. Ron Hogg said: “Improving road safety remains a priority for me and I am happy to continue supporting the EXCELerate scheme as it is re-launched as EXCELerate Plus.